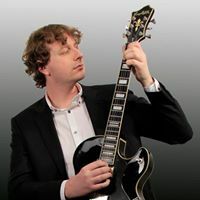 David MacGregor is a composer and guitarist of World Jazz. He was born in Dunfermline, Scotland, but nowadays the world is his new home and main source of inspiration. So far, he has performed solo concerts in Scotland, England, Northern Ireland, the Netherlands, France, Germany, the Czech Republic, the U.S.A and Mexico.